As a kid in school, your drink choices at lunch were limited to either milk or a juice. Most kids wanted to be cool and chose chocolate milk. Sometimes the brand changed, or the cartoon wasn’t always the coldest, but you always made the same choice. Years after years you choose cow’s milk. Here’s why: it’s what was given to you. Cows have been raised on farms and milked in abundance for years. It’s profitable and translates over a global scale. Company’s brand their selected milk and mass produce it into flavors that children love like strawberry and chocolate. Over time children come to expect cow’s milk and don’t want to try other milk that doesn’t taste as sweet as cow’s milk. But milk company does not only try to persuade children to drink milk but the parents as well by offering it at an affordable price. In doing so, parents are more likely to buy a product that is cheaper. Although, providing a product at a low price benefits a company just as much a parent. Since the companies hope that the low cost of a product will enable parents to purchase a product in bulk, which ultimately increases the volume of sale over time. However, just because cow’s milk can make money for corporate executives does not make it the best for your children or you. While it’s known cow’s milk has a high amount of vitamin D it lacks in other vitamins compared to other milking sources. 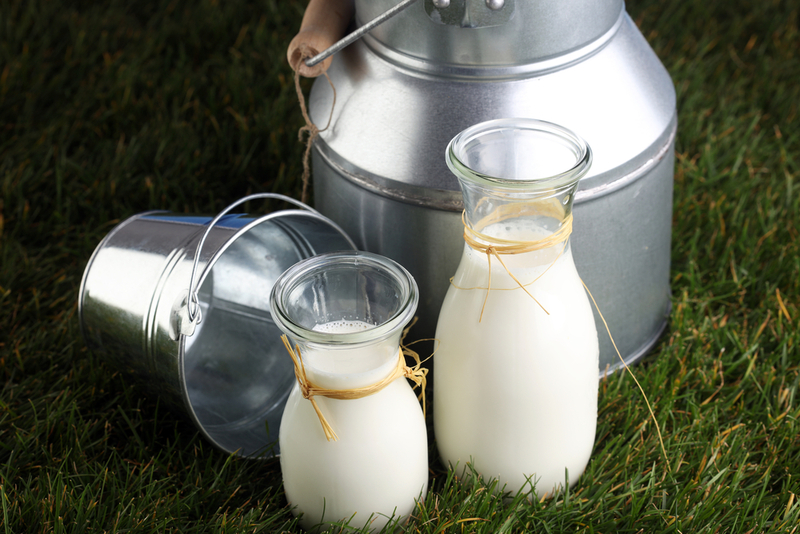 Cow’s milk can be found in variations like skim, fat-free, or even 1%, and 2%. These variations allow people to choose what they want to consume in their milk. But for some, they don’t have a choice. Cow’s milk is harder to digest and can take up to two hours to dissolve. Factor in the high amount lactose and you have an intolerance for cow’s milk on your hands. Therefore, for some the most produced milk in the United States is not the best of all. Cow’s milk has dominated the market, and it wasn’t until recently that goat products started to receive attention. Products like goat cheese, goat milk soap, and goat milk ice cream started to become popular with health-conscious families wanting to try products that were all natural. In fact, the number of farms producing and selling goat’s milk products has undoubtedly doubled. But due to the cost to maintain the farms the products they sell maybe expensive. Over time you might be breaking your budget over products that you can receive at a lower price in a health food store. That’s why it good to check prices before you buy anything that may be overpriced. 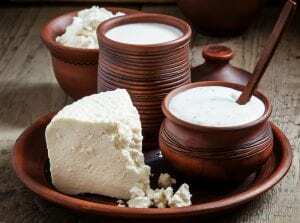 However, many people choose goat’s milk over cow’s milk and sheep’s because they’re lactose intolerant. 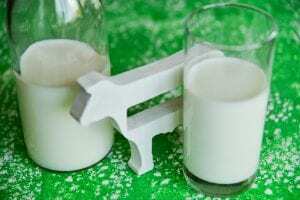 Goat’s milk is one of the best choices for people who are lactose intolerant since it only takes thirty minutes to digest. However, goat’s milk has a salty taste instead of a sweet taste like cow’s milk. But unlike cow’s milk, goat’s milk is rich in vitamins. Goat’s milk has vitamins A, K, E, and B6. Now that’s a healthy amount. Not only is goat’s milk perfect for people who are lactose intolerant but it’s ideal for children too! Since goat’s milk is the closest structure to human milk children will like the taste of goat’s milk and receive all the nutrients also. However, giving a child goat’s milk or cow’s milk before the age of six months is not recommended. When a person first thinks of a sheep, their first thought is likely of wool. While sheep’s do give us wool, they also offer various other products like meat and milk. However, sheep’s milk is usually turned into other dairy products like yogurt, and cheese. Some famous cheeses made with sheep’s milk include feta, ricotta, and Roquefort. Lamb or the meat provided by sheep is often used in Greek food and other recipes. While sheep’s milk is the least produced out of the three, it’s not due to low demand but the sheep’s themselves. Sheep are hard to milk and therefore and can produce small quantities of milk. However, their milk is the most nutritious out of the three animals. In fact, sheep’s milk has more protein it in than cow’s milk or goat’s milk. Also, it’s creamy and easy to digest. Most people like sheep’s milk due to its texture not from its popularity. However, like goat’s milk farms can overprice their products due to their need to support themselves. If you like the taste of sheep’s milk, make sure you check with your bank account before you buy it. Over time prices can add up, and you might regret buying a product that is expensive, however, you can check your local health store or online resources to see if there are lower prices located somewhere else. Whether you hate or love it, you have tried milk before. Now was it cow’s milk? Probably, but that doesn’t mean you can’t try goat’s milk or sheep’s milk. All three are different in taste, nutrition, and price. The one that’s best for an expert or a farmer can’t decide you. It’s your opinion that matters so go ahead and look up a local goat farm. Maybe even experiment with some goat milk soap or taste some goat milk ice cream. Who knows? You might like it more than you think.